During the nineteenth century people from Maine’s Cranberry Isles traveled the world, and some made a living whaling and sealing in the far north. After a trip to Labrador, Cranberry Isle resident Samuel Hadlock (1792-1829) returned home with a group of four Inuit, dogs, and a variety of artifacts. Hadlock became a showman and took the Inuit on tour throughout New England and Europe in the 1820s. Tragically, none of the Inuit survived the experience. In 1828 Hadlock sailed to Greenland in the Minerva, a two-masted schooner that was locally built. This trip also met with disaster when everyone on board was lost along with the schooner. 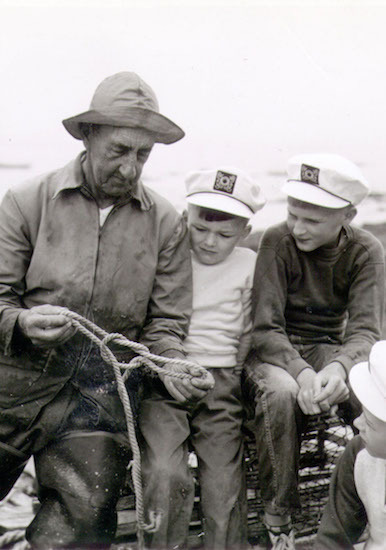 Visit the Great Cranberry Isle Historical Society, and its smaller counterpart, the Islesford Historical Museum, on Little Cranberry (Islesford) to get a sense of the lives of island families. You can get there by ferry or boat from Northeast Harbor or Southwest Harbor on Mount Desert Island. Address: Cranberry Road, Geat Cranberry Island, ME. Access by ferry from Northeast Harbor or Southwest Harbor. Photo courtesy of Great Cranberry Isle Historical Society.